When it comes to innovation and creative technology, there are few people in the world who do it better than the Swedes. Their economy is set up to foster creative and tech entrepreneurs, and they possess a natural openness that makes them brilliant collaborative partners. And we know, from several years of working together on projects, that Thea Hamren and Emil Rydberg are the very best of the bunch. 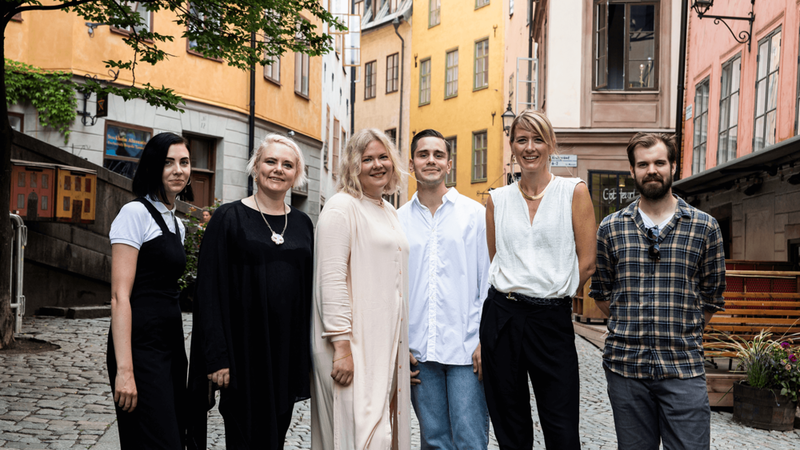 We couldn’t be more delighted to announce that we are supporting them in the launch of First Lady, their very own creative tech and innovation agency in the heart of the action in Stockholm. Their specialisms perfectly compliment the brand thinking and creativity at the heart of Mr. President. We’ve already collaborated with First Lady on taking our “Come out for LGBT” brand platform for Stonewall and working their magic to bring it to life through Amazon’s Alexa technology at the LGBTQ+A in Cannes. They are their own independent business, with a growing team, big plans, and our backing. We know they’re going to go on to achieve amazing things, and that we will also be working on some incredibly exciting projects together – more of that soon.